Let’s see how this goes! I’ve been away from this blog for nearly three years! That seems crazy to me, and I’m going to try and bring some life back to it. Though my posting has dropped off, my passion for new music hasn’t waned in the least. I’m always on the lookout for new artists to fall in love with, and I hope to use this blog to highlight them as I find them. If you’re reading this, I hope you stick around and enjoy the music along with me. I’ll be posting soon! My first post will be about Lucius, one of my current favorite bands. Their new album Good Greif is out now and it’s fantastic! Check them out below. This blog post was inspired by this piece by Wil Wheaton: I haven’t thought about the kid who bullied me in over twenty years. I was the fat kid with severe seasonal/exercise induced Asthma in elementary and middle school, and also the kid with a huge target on his back. I wanted nothing more than to be like every other kid at my school and just blend in. I changed my wardrobe, tried to listen to the right music, put away comic books, and just tried to disappear. No matter how hard I tried, I was still the outsider. Always picked last in gym class for sure, but also the only kid stuck inside during recess, because the twenty minutes outdoors during spring could land me a trip to the ER. I was lucky enough to have friends during this time period, some of which I still have today, but I will always remember the confused looks on my peers faces when it was time to go outside. Middle School did not start well for me. This was the time when sports started to rule, and I was the furthest thing from an athlete. Gym Class was always the worst time of day for me, and the confused looks and kids faces turned to laughter. When I hear bullying stories on the news, or see articles/blog posts like the one by Wil Wheaton that I’ve shared above, this is the time I re-live. The time when the taunts went from “What’s your problem?” to “You’re ugly, you smell, get away from me”. Every time I would see this particular boy or any of his friends, I would immediately start to cringe and shut down inside. It went so far as this particular group writing “Andy Smells” on chalkboards before classes we would share, or scratching those words into desks across the school so I could find them throughout the year. Thankfully, I was one of the bigger kids at the time, so I really didn’t have that much physical abuse beyond shoving and the occasional punch to the arm. Being a big guy finally became an advantage when I decided to fight back. I would always start with my words, and I was pretty good a shutting people down with them. I’m frequently asked today why I’m so quick to respond, and therein lies the answer. I had to say something back before they got in another jab, or before someone else would chime in against me. It was a skill I developed quickly out of necessity. Unfortunately, there were times when words were not enough, and I’d be forced to get physical. I tried to never throw the first punch, and my goal was never to have anyone get seriously hurt. I only wanted them to know that I would never again suffer them silently. I would never again let their words and actions create tears. I would never again let them make me so upset that I would beg my parents to not go back to school, even while being dragged into the building. I would never again let those people run my life. After a few years, my bullies got the message and backed off, but I didn’t stop there. I had friends who were teased relentlessly as well, and I never sat by and let them take it. My bullying story ends with me standing up for myself and quite literally fighting back at those who tried to hurt me. Not everyone’s story has a happy ending though. I will always support anti-bullying campaigns, and if I ever see anyone trying to break someone else down because they’re different, or they like something the other person/group doesn’t, or just because, I will not stay silent. It has been a long while, but I’m back! Here’s some of what I’ve enjoyed from today’s new releases! This album had me absolutely floored. I’m not quite sure what I expected from it, but what I got was a rocking set of punk inspired jambs that never stop for a breather. 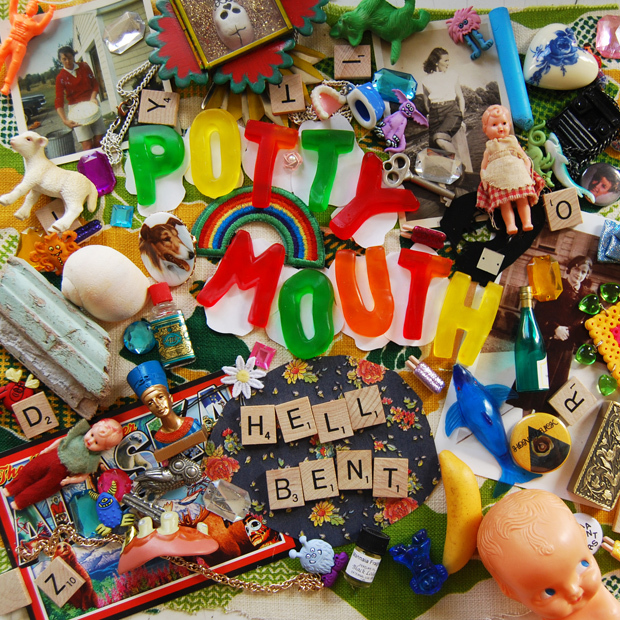 “The Gap” kicks things off with a bang, and once you let Potty Mouth‘s brand of hard driving alt rock take you over, you won’t want it to end. “The Spins” (below) is another album highlight, brimming with chunky riffs and, blistering rhythms, and a melody that evokes some of those great punk bands you grew up rocking out to, but the band never crosses into hackneyed territory. Rock and roll is alive and well on Hell Bent. Check it out here. Hide is as adventurous as it is exhilarating, filled with ambitious electronic experimentation and dance hall pop. There are some notable collaborations on the disc, namely Sir Paul McCartney and Youth (‘Out Of Sight’), Theophilus London (‘All The Girls (Around The World)‘), Sam Sparro (‘Glow In The Dark’), Tommy Lee (‘Raw’), and Peter Frampton (‘The Beat’), but the record never feels like a compilation of revolving guest stars. 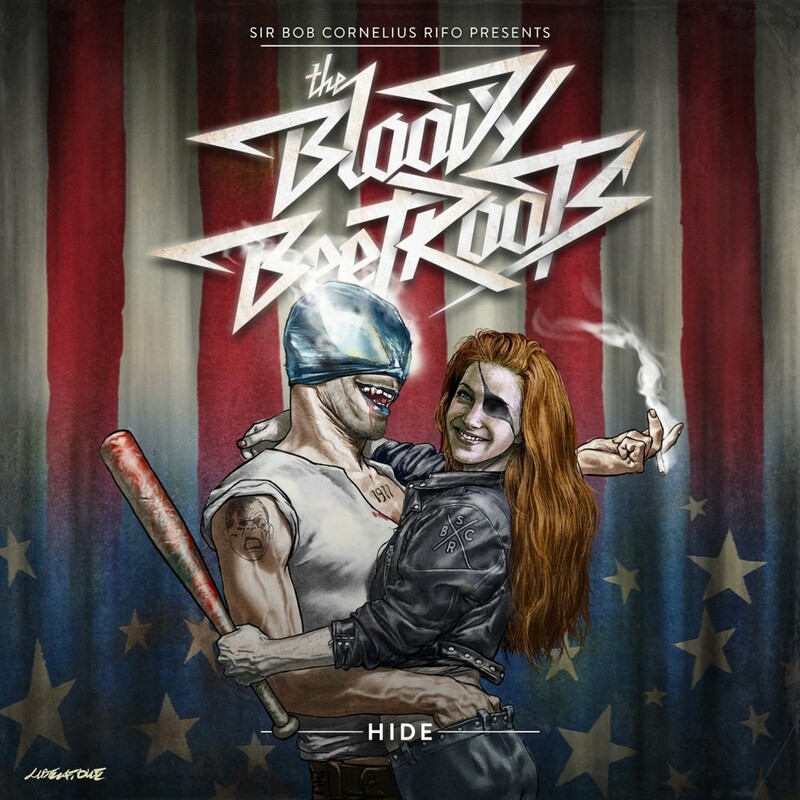 The Bloody Beetroots are the stars here, and shining is something they do best. Pick it up here. My sister purchased a refurbished Nintendo Wii from Gamestop a few weeks ago, and yesterday I went to her place to help her set it up. Upon opening the box, we discovered the system was missing an AV cable! We drove back to the original GameStop, told the, what happened, and they were very helpful. They gave us a new AV Component at no charge and we were on our way. Back at her home, I hooked the system up and turned it on. When the home screen came on, I noticed that the picture was in black and white. Unaware of why this could be, I went into the Wii settings and changed the screen resolution, resulting in a blurry/jumpy screen nightmare. I tried to change it back, but alas, I couldn’t navigate the screen due to its hyperactivity. I went to Google how to fix it, and all the results were either “hook it to an HDTV” or “Try to navigate the screens without being able to see them”. The nearest accessible HDTV was in my apartment over a half hour away, and I thought that the combined hour plus worth of driving should be a last resort. I thought for sure there was a manual reset for the screen res, as there is on my PS3. Since we had just turned the Wii on hours before, I thought maybe we could just do a manual system restore, but that is also not possible. How do I know that? Google told me so, as well as the not so helpful Nintendo customer service rep, who told me as much. I explained that I couldn’t navigate the screen, and he told me to go into Wii settings. I mentioned to him that I can’t open Wii settings if I can’t see anything on the screen, as previously mentioned by me during my opening remarks. His response was essentially to try another TV or I can’t help you. Thanks, Nintendo. More Google resulted in a solution to my first problem, the black and white screen. Apparently the Component cables aren’t fully compatible with older TVs, so back we went to GameStop for a different cable. After the previous store manager at GameStop had to pull from his own inventory then explain to his superiors why he had to, I didn’t want to trouble him further. I should have been more specific in the first place, so we drove to a closer GameStop to ask for a Composite cable. They had one, and I purchased it after explaining my situation to the gentlemen there. His response was ‘Try Google, and if it doesn’t work, call Nintendo”. I explained to him that Nintendo Customer Service was surprised by my problem, and offered no acceptable solution, so I’ll stick with Google and GameStop from now on. Hookup attempt number 3 was a success! The new cable worked like a charm, and all was well in WiiVille. I got my sister all connected, and set her up to start playing. When we started the first game, a message came up to connect the nunchuck to the Wii remote in order to proceed, and guess what!? It was connected! I restarted the system, and the same message appeared! I unplugged her Nunchuck (which had been included in her original GameStop purchase) and plugged one of mine in and it worked fine! What did I learn from all of this? If you’re going to buy something used, open it in the store, and make sure you know specifically what you need BEFORE driving home. Or just buy new and save the heartache. It’s been a while since a new record has grabbed me in the way that Arc has. This record fires on all cylinders, and is an engaging and exciting listen from start to finish. The band weaves elements of rock, pop, and hip-hop with brit-rock brilliantly, with nothing every feeling forced or out of place. The record has a nice flow, and is one of my favorites of the year so far. If you haven’t heard them yet, check out the video below for ‘Cough Cough’ and see what I mean. If you enjoy that, check out the rest of the record on Spotify below that. #EverythingEverything is definitely becoming one of my favorite bands. #CoughCough is brilliant!